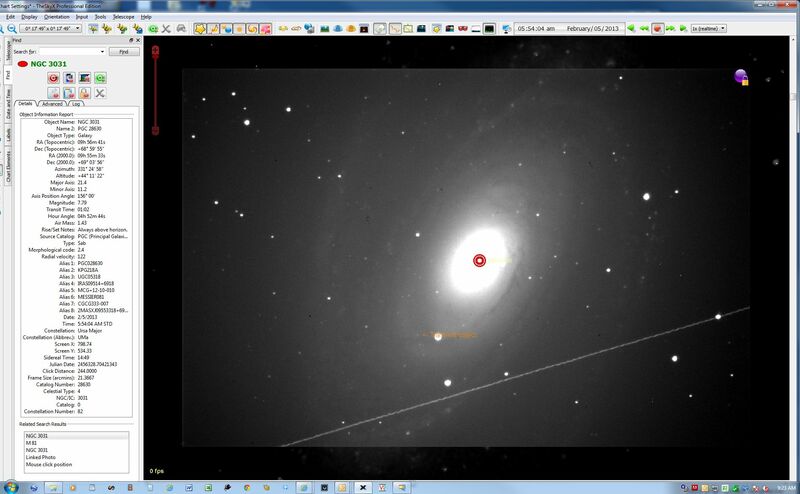 Virtual Telescope serendipitously confirms a nova candidate in M81! 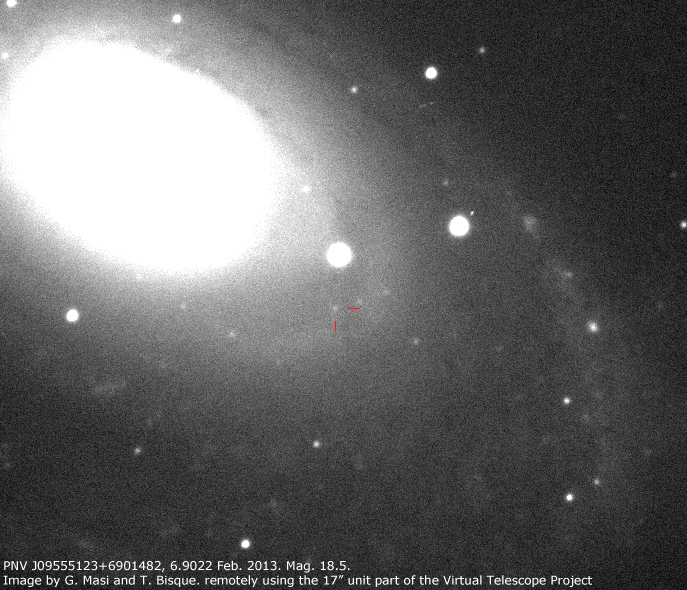 During the tests performed these last nights at the Virtual Telescope while fine tuning the new software recently installed, we were lucky enough to serendipitously capture a nova (not a supernova) candidate in Messier 81, the well-known galaxy in Ursa Major. The candidate was reported to the CBAT by K. Hornoch (Ondrejov Observatory, Czech Rep.) and we checked our images after our attention was pointed to it. 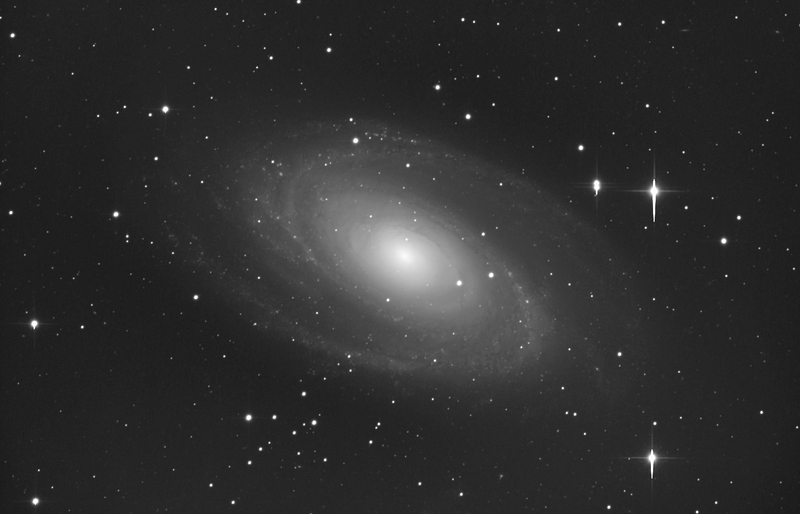 An old image of M81 is available for comparison. The image above shows it very well and was obtained with the PlaneWave 17 unit, sitting on the robotic Paramount ME mount. By chance, the same galaxy was imaged two nights earlier (this time with the Celestron C14 unit and, again, the star is there. Below is the C14 image, directly linked in TheSkyX, with the object marked. All the images were grabbed and processed by Gianluca Masi and Thomas Bisque.